This design is inspired from Elven and Ranger armour. 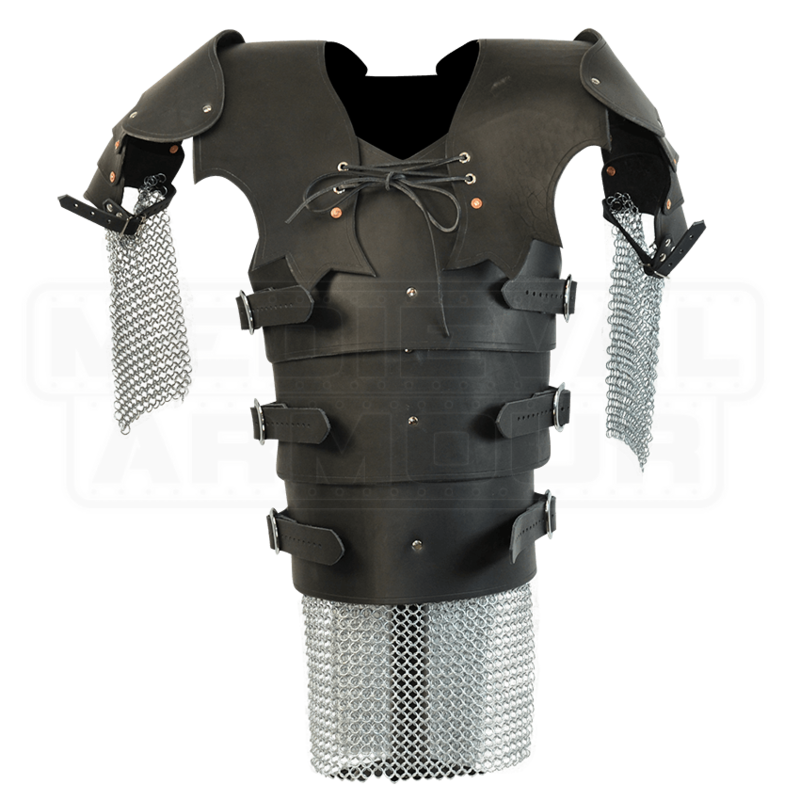 We have added pauldrons and chainmail, making this piece great for use in the SCA or any other type of battle re-enactment. Made of 13/15 oz. leather (that is a 1/4 inch thick leather), this piece moves very easily with you and will allow a full range of motion. This piece of armour has a great fantasy look. 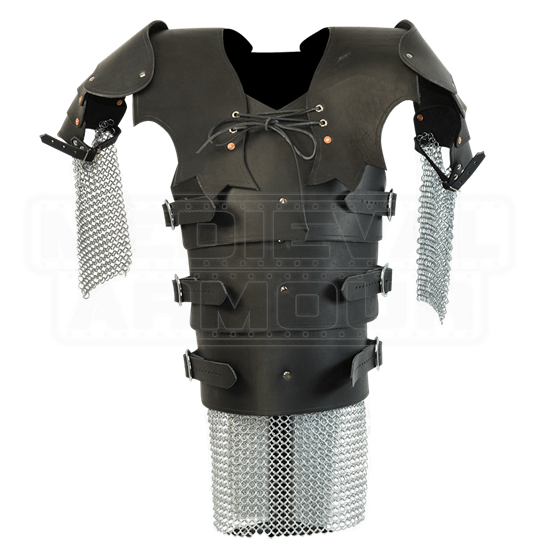 We custom make this armour to order, with the usual ship time being around 3-5 business days.